Can High Schoolers Handle the Tech World? 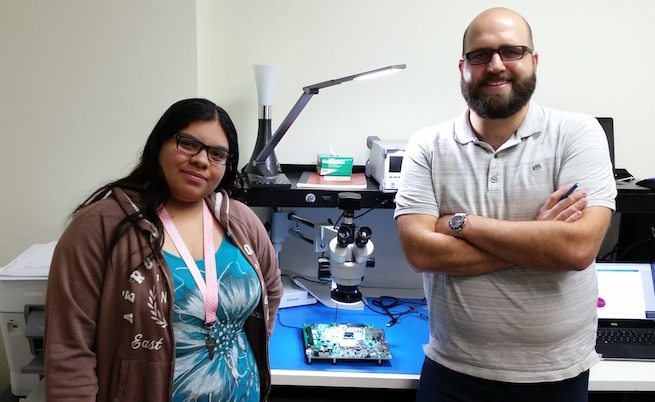 Health Leadership High School student and Future Focused Education intern Melani Alonso with her mentor Brian Henderson of Next State Systems. Every year more than 6,000 young people in Albuquerque can’t find a job. That’s despite a business environment where virtually all industry sectors are clamoring for qualified entry-level employees. Extrapolated to a national level, that will translate into 12 million jobs going unfilled in the next decade. But Future Focused is proposing something radical to close this gap. Instead of hiring college interns—start with high schoolers. 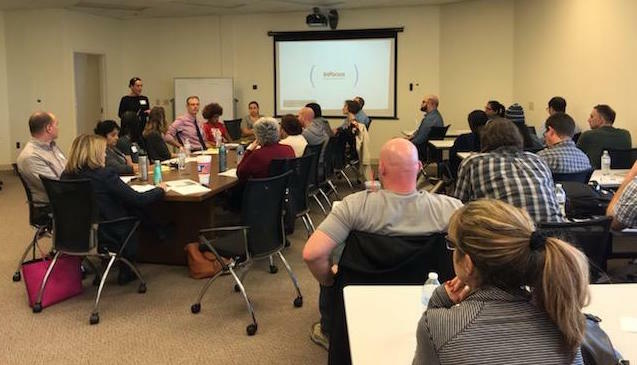 Recently Future Focused Education gathered 16 local technology companies into one room and asked them: “What if you hired a high school intern?” At first they were skeptical. Could a high schooler handle the tech world? Here’s how the model is unique: Future Focused Education works with local companies to identify the skills employers need but struggle to find in new hires. Future Focused designs paid internship positions suggested by industry professionals, simultaneously working with Tech Leadership High School to select, place, and support interns. Young adults then graduate from high school having successfully completed two or more paid internships where they gained critical work experience. Then students are ready to pursue a meaningful career pathway and contribute to our local economy. Albuquerque becomes a healthier and more prosperous city. The process of integrating high schoolers into IT work settings will take a targeted effort sustained over time. On behalf of the young people and employers Future Focused serves, we are pleased to have been the impetus for re-thinking high school career readiness, and we look forward to continuing to support other businesses to make more opportunities available. Fuse Makerspace, Oracle Academy, RS21, NM Department of Workforce Solutions, Ingenuity Software Labs, Design Plus Architects, Lavu, Siarza Social Digital, 11 Online, Explora, Next State Systems, CSTi, Adelante, Dekker Parish Sabatini, ANM. With special thanks to to Michael Soguero of Eagle Rock for facilitating this successful event. Want to become a mentor? Would your business consider hosting an intern?